The Junior Academy Program will be directly linked to the Club’s Player Development and Coaching Philosophy. The success of Seacoast United youth club teams can be attributed to the fact that the majority of SUSC’s current players are Junior Academy Graduates. Because many of our past Junior Academy youth are currently playing for SUSC Premier Teams, this truly enhances our commitment to continue to identify and nurture talented young players in a developmentally appropriate setting. Therefore, the staff are directly responsible for overseeing the Seacoast United Maine club program (U11 - U19 Boys and Girls) and also coach within the Junior Academy groups. 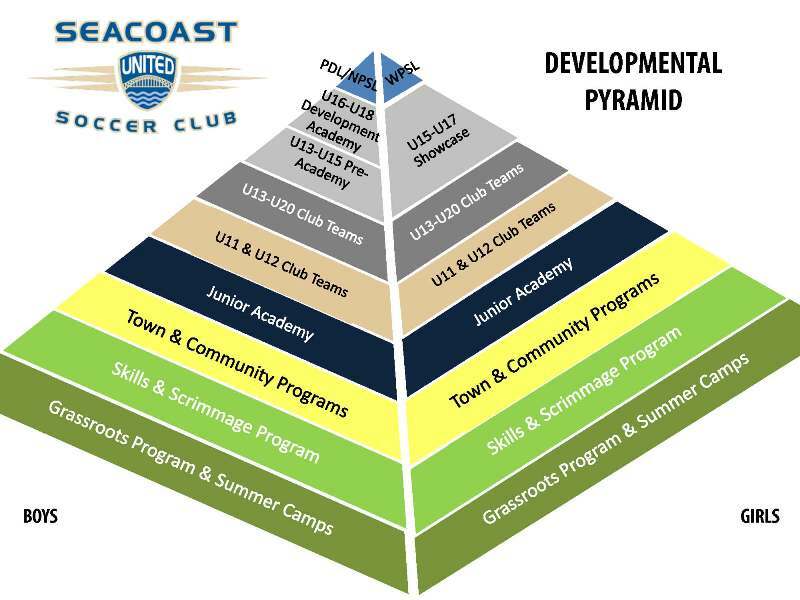 It is our hope that those involved in our Junior Academy Program will continue to learn and enjoy playing as they move up "The Seacoast United Ladder" of soccer playing opportunities.